Officer: 169-10, we got shots fired, 4:15AFF. Sounded like an automatic firearm. 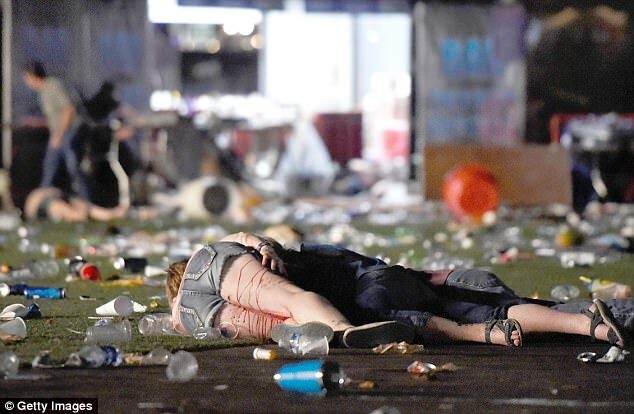 I see the shots coming from Mandalay Bay, halfway up. Control: Repeated just be advised there is automatic fire, fully automatic fire, from an elevated position. Take cover. 2nd officer: ‘Multiple GSWs to the chest, legs, femoral arteries. Send a medical team (inaudible). We have an active shooter, we have an active shooter inside the fairgrounds. 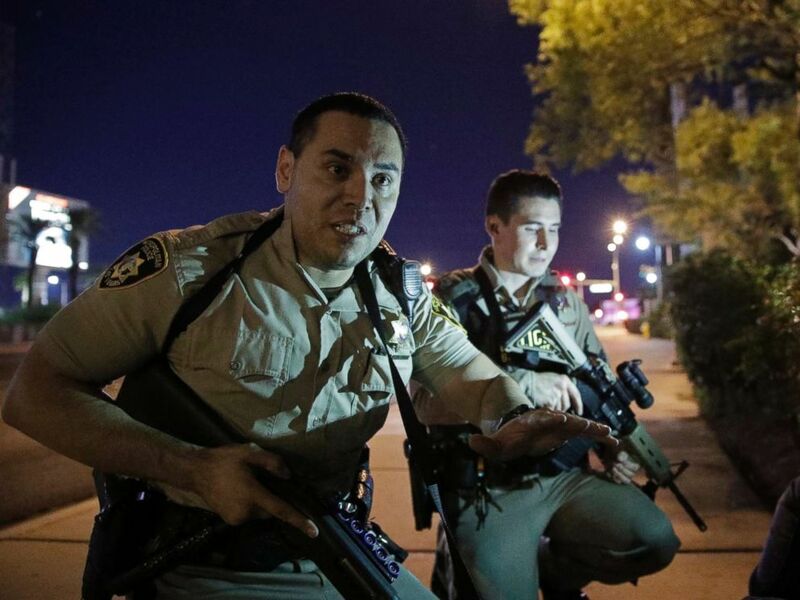 3rd officer: Shots fired from Mandalay Bay, there’s many people down, stage left, just be advised. 4th officer: 790RI, I’m gonna form a strike team, Mandalay Bay and the Boulevard. I need five officers on me. 5th officer: Set on the suspect’s door. I need everybody in that hallway to be aware of it and get back. We need to pop this and see if we can get an inside response from this guy. To see if he’s in here or if he has actually moved out somewhere else. Control: Copy. All units on the 32nd floor, SWAT has explosive breach, everyone in the hallway needs to move back. All units move back. 5th officer: (inaudible) We have one suspect down. Control: We need the air clear for Zebra 20, they have one suspect down inside the room. Zebra 20 has one suspect down inside the room. Officer: Can you confirm the location of the suspect down, please? Control: Zebra 20 is saying there is one down inside the room. Control: Inside the room at Mandalay Bay. Officer: 7 Victor, there is one down, 32nd floor, Mandalay Bay. Control: Is that room 135? 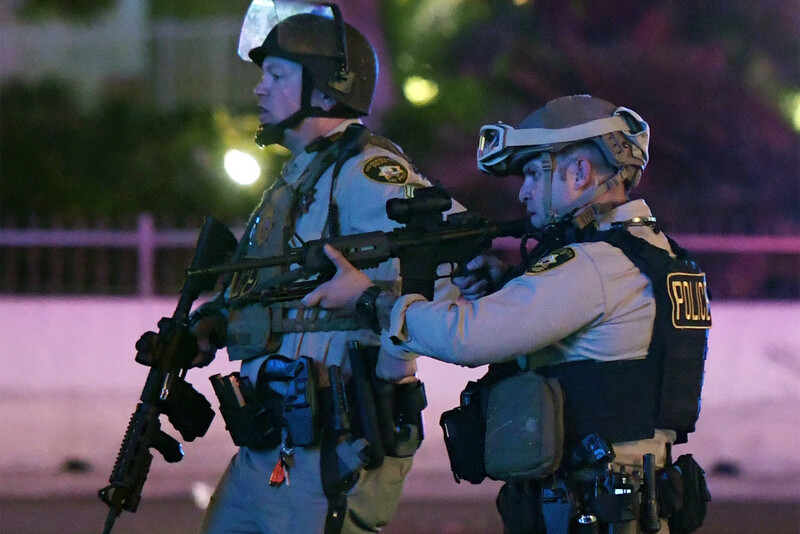 Officer: That’s affirmative, one suspect down in 135, floor 32, Mandalay Bay. I have the floor. Officer: Control to 360, Can you confirm that room number? Control: 135, 32nd floor, Mandalay Bay. Officer: Suite 135-32, is that correct? Control: 32nd floor, Suite 135. Secondo la fonte, l’FBI avrebbe inoltre rinvenuto all’interno della stanza di Paddock materiale riconducibile al gruppo estremista di sinistra Antifa, tutto questo mentre l’ISIS rivendicava la paternita’ dell’attentato. Attraverso la sua agenzia di stampa Amaq, il gruppo terroristico ha comunicato che Paddock si sarebbe convertito all’Islam alcuni mesi prima della strage. L’FBI ha smentito la dichiarazione dell’ISIS, ma il tipo di obiettivo sarebbe coerente per un estremista animato da movente religioso o politico. Il bersaglio scelto e’ infatti un concerto di musica rock country, un genere musicale che da sempre attira le fasce conservatrici d’America, notoriamente a favore del libero porto d’armi e supporter di Donald Trump. Sarebbe inoltre emerso un video nel quale si vede Paddock partecipare ad una manifestazione anti Trump. Un obiettivo ideale quindi, sia per un terrorista islamico che per un estremista aderente ad Antifa, movimento che negli scorsi mesi si e’ reso responsabile di numerosi atti di violenza.